Mazda got the first place of Adjusted Fuel Economy. This is to bring to your kind notice that agreement between HHA and Peugeot, France has been discontinued. Farewell ceremony for the employees who have served in the company for more than 25 years. 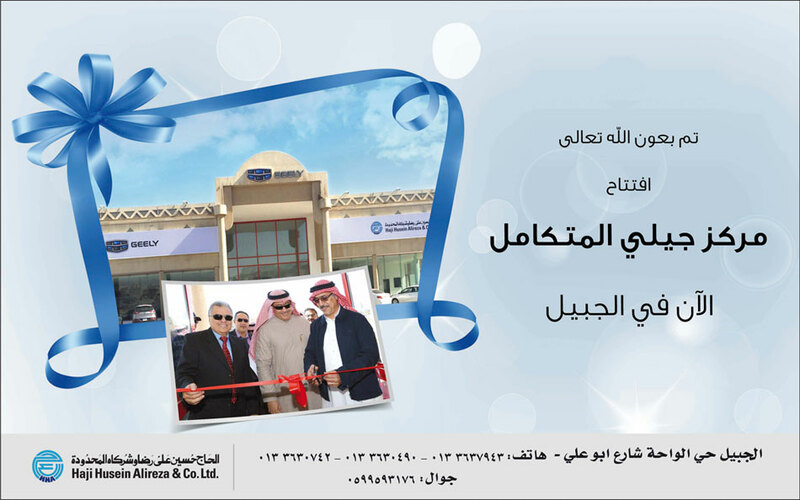 Mazda New Showroom Opening Ceremony in Riyadh Qurtubah Dist. Opening Soon - Mazda New Showroom in Riyadh, Qurtubah dist. Opening Soon - Mazda New Showroom in Riyadh, Abu Bakr Siddique St.
Geely new showroom in Jubail at Abu Ali road.